Kelburn runs on the love and hard work of a wonderful team of dedicated people. From the Country Centre staff to the production team, decor artists, front of house crew and clear-up heroes. Everyone is essential and valued. It’s one of those places where the more you put in the more it gives back, we love it and we’d love to show why. If you are interested in performing or exhibiting at Kelburn then fill in the Artist Application Form. For decor applications please visit the volunteer page. Kelburn wouldn’t be possible without our dedicated army of volunteers. Every area of festival production, from decor and build to food and car parking required volunteer help in order for the event to function. Volunteers get alot out of being involved at Kelburn, can learn new skills and make new friends. 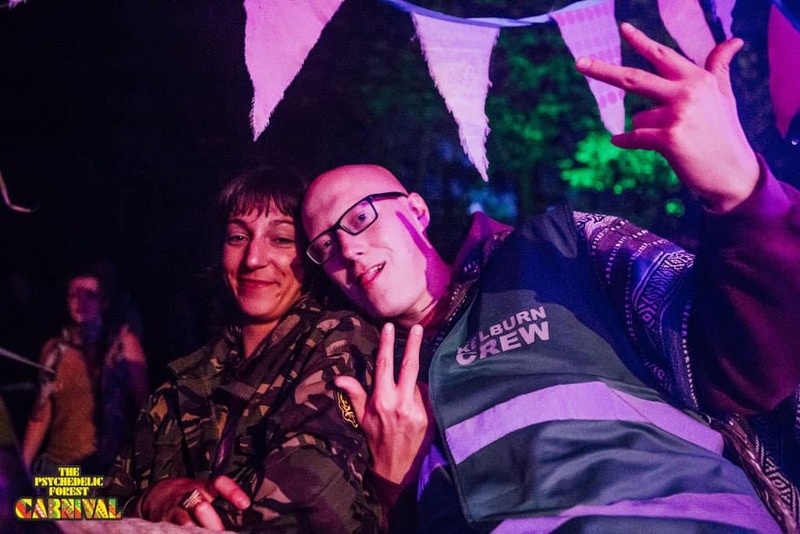 Volunteers are required for both the Kelburun Garden Party and Psychedelic Forest events. Find out more here. This new programme offers discounted festival passes to anyone who wishes to make a valid creative contribution to the Kelburn Garden Party. We want everyone to feel they can bring some magic or madness to the pot, be it a walkabout performance, pillow fight, sculpture… anything. Find out more and apply here. If you are interested in trading at Kelburn please fill in our Trader Application Form. View details of current paid vacancies. Are you interested in real festival and event management experience? We are offering 4-5 enthusiastic, motivated and reliable people 5 months of part-time training, mentorship and work experience. You will be working closely with our management team shadowing and assisting them and will really see how an independent festival is run whilst hopefully having a fun and informative time. Thanks for your interest in being involved at Kelburn.